Last updated on December 7th, 2018. 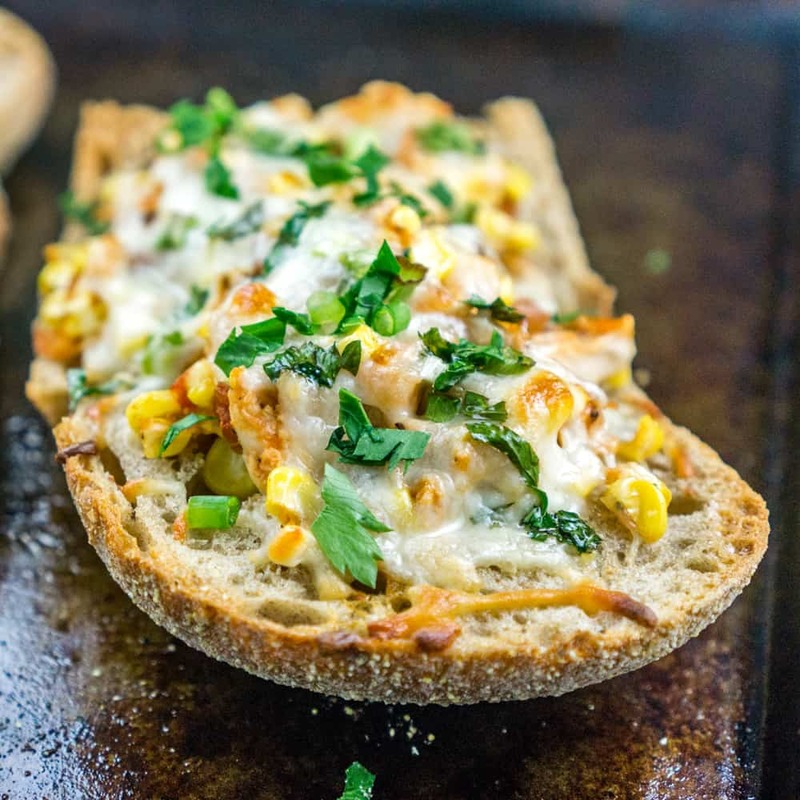 Stuffed Cheesy Chicken Ciabatta – the perfect appetizer that everyone will love, ready in 15 minutes! Make it for dinner tonight or for your next party. Is there anything better than cheesy stuffed bread baked to perfection until it is all melted on the inside and crispy on the outside? Actually, yes there is. Just add some fresh corn and chicken to the mix and you’ll see what I mean. 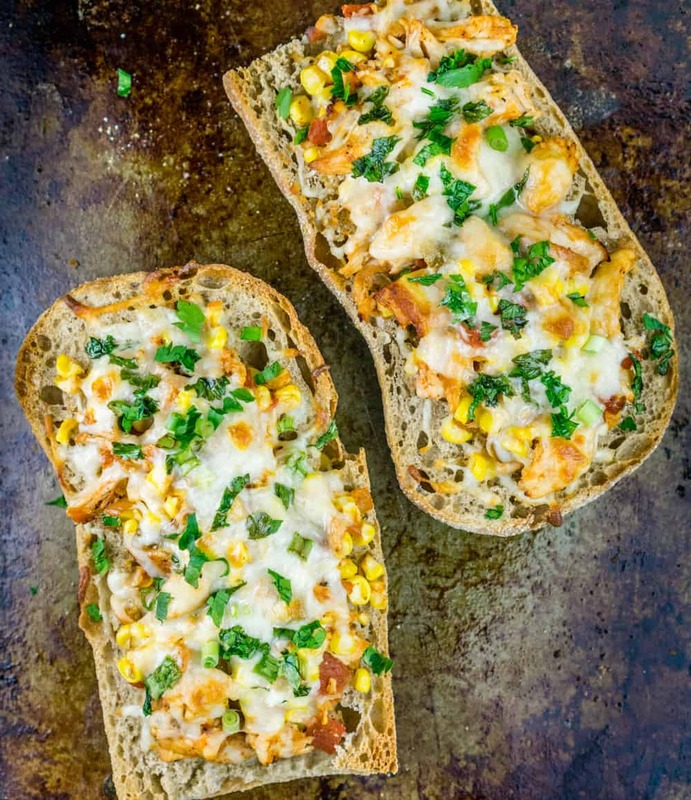 This Stuffed Cheesy Chicken Ciabatta is absolute cheesy bready perfection. It starts with a delicious loaf of ciabatta bread (I used whole wheat) sliced in half. 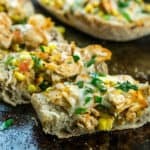 Some of the extra bread is scooped out and the ciabatta is filled with an addicting mixture of salsa, fresh corn kernels, and shredded chicken. Top that all with a mixture of your favorite cheese and fresh herbs and bake for a few minutes. This recipe couldn’t get easier – it is ready in just 15 minutes – but the flavor is out of this world delicious. You can slice the stuffed ciabatta into smaller pieces and serve them as an appetizer. 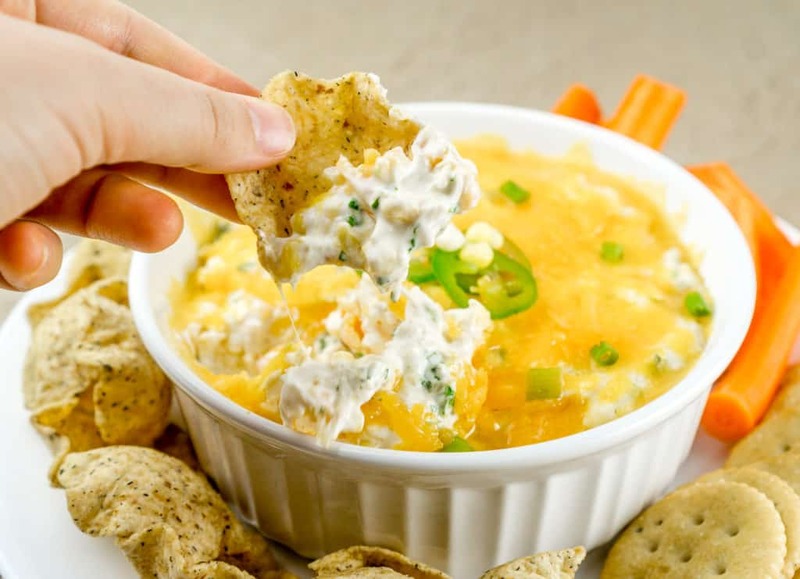 Your guests will LOVE the easy-to-grab finger food. Or you can grab yourself a larger slice and eat it for lunch or dinner. 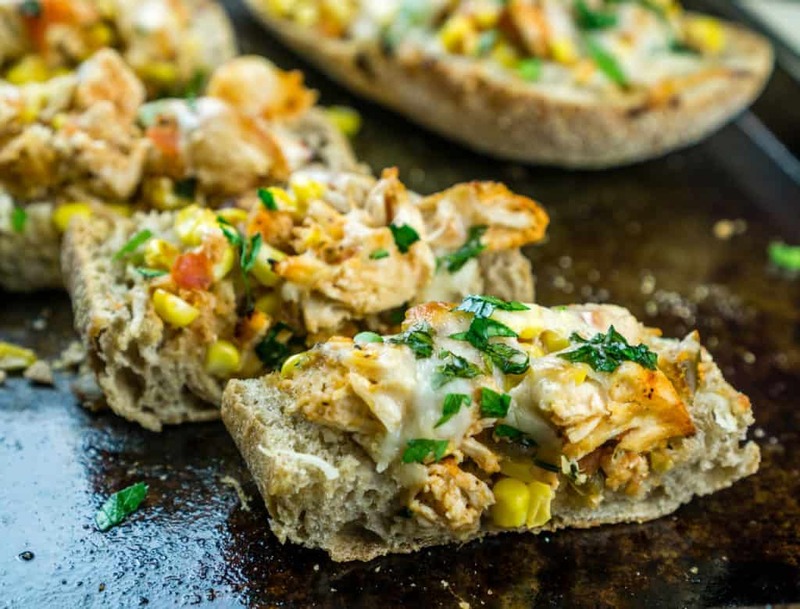 This stuffed cheesy chicken ciabatta recipe was a go-to after Elliot was born. It was just so quick to prepare with ingredients we had on hand. It made a great dinner for us when we were sleep deprived and had no energy to cook. This, and other quick and easy recipes were life savers. 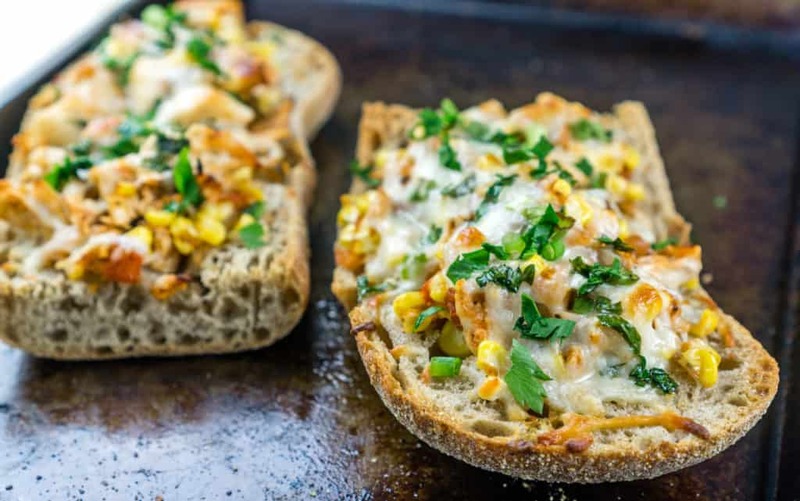 You know, the recipes that take less effort and time to prepare than ordering a pizza (although some of those recipes are pizza recipes – such as this Naan Shrimp Pizza or this BBQ Pulled Pork and Asparagus Pizza). We rotated between these types of recipes for the first few months after Elliot was born as we transitioned into our new life. 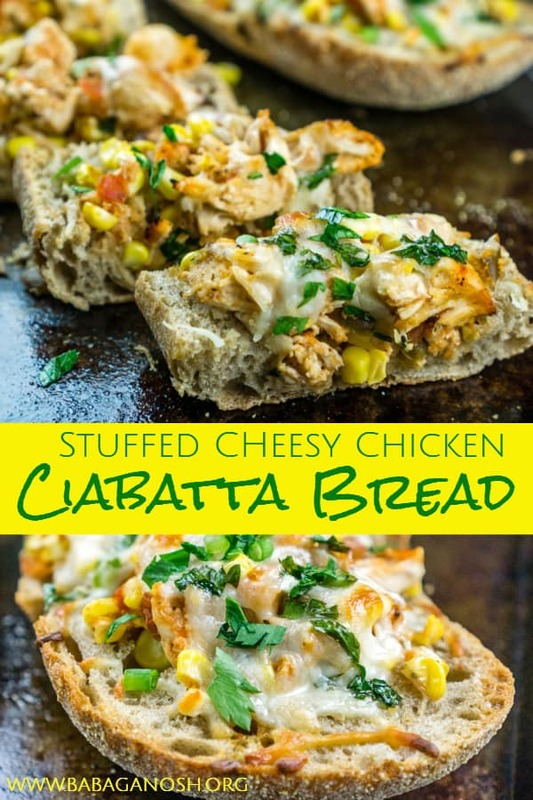 Stuffed Cheesy Chicken Ciabatta - the perfect appetizer that everyone will love, ready in 15 minutes! 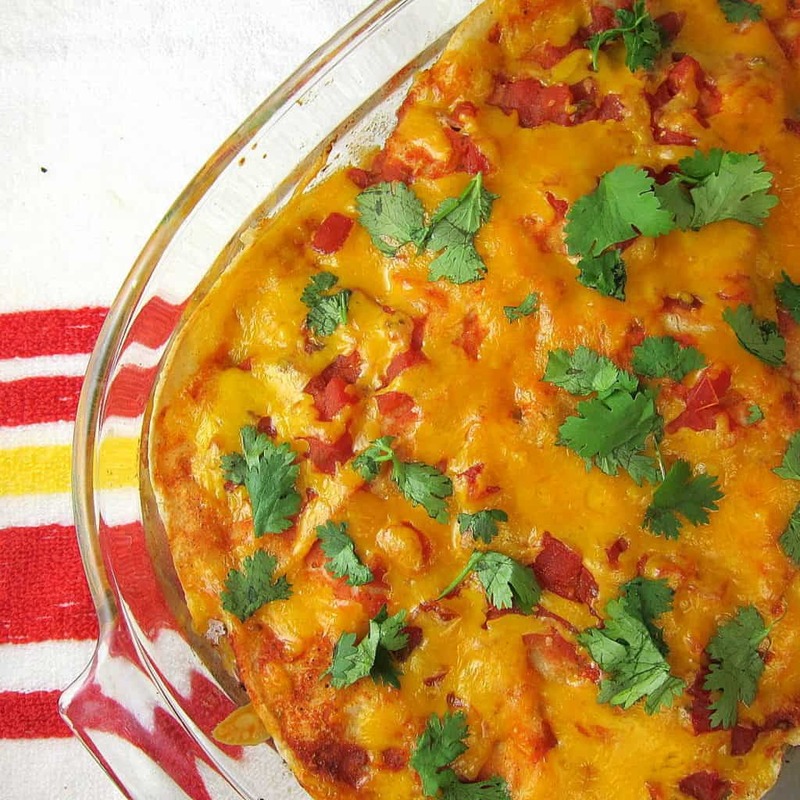 Make it for dinner tonight or for your next party. Slice the ciabatta loaf in half as if you were making a sandwich. Scoop out some of the bread from both sides, but don't get too close to the edges. (Save the scooped bread for another use, such as dipping into olive oil or for your next meatloaf). 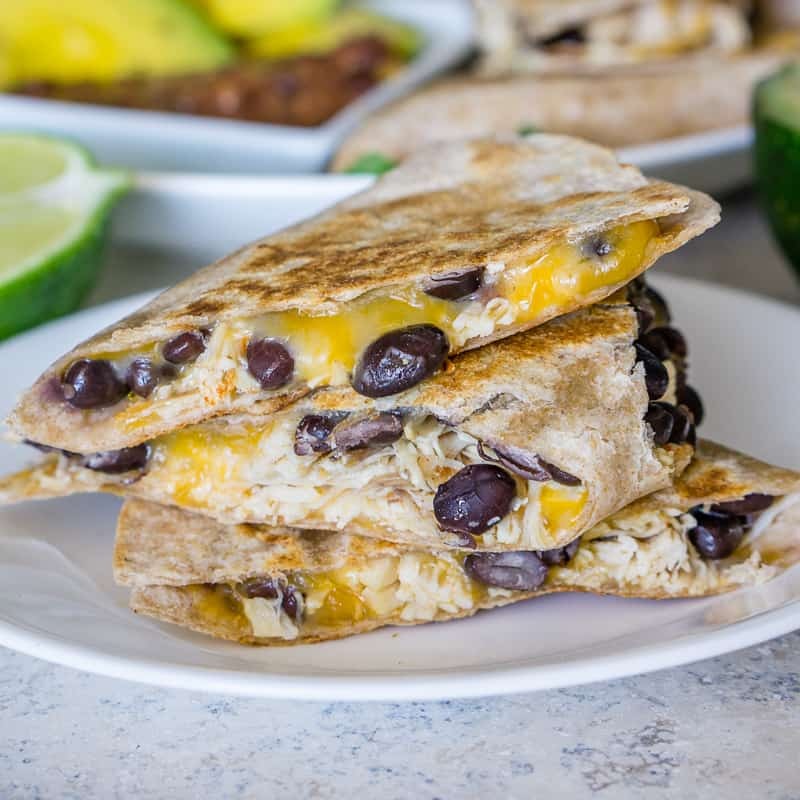 If you enjoyed this recipe, don’t forget to follow me on Facebook, Instagram, and Pinterest for more delicious photos and recipes! What a great sandwich! Look forward to serving at the next party.